Per capita personal income is a key economic indicator for understanding the financial demographics of a region. In conjunction with median income, per capita personal income is used to determine the wealth of a given area. Additionally, it can be compared with real estate prices to determine the affordability of a region. Louisville currently ranks 11th among its peer cities in personal income per capita, with a value of $46,457. Personal income per capita is defined by the Federal Reserve as the amount of money earned per person in a certain area. On this metric, Louisville is at the bottom of its peer group according to a natural breaks algorithm. Cities in green are those that outperform their peers, cities in yellow represent the middle cluster, and those in red are a group that lags behind its peers on this indicator. Per capita personal income has been steadily increasing in Louisville since 2005. 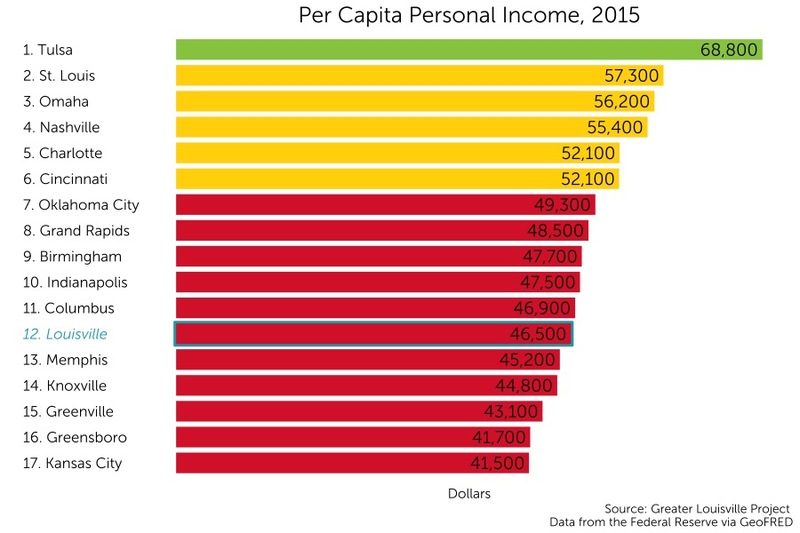 In comparison to its peer cities, Louisville’s per capita personal income has grown at relatively the same rate. 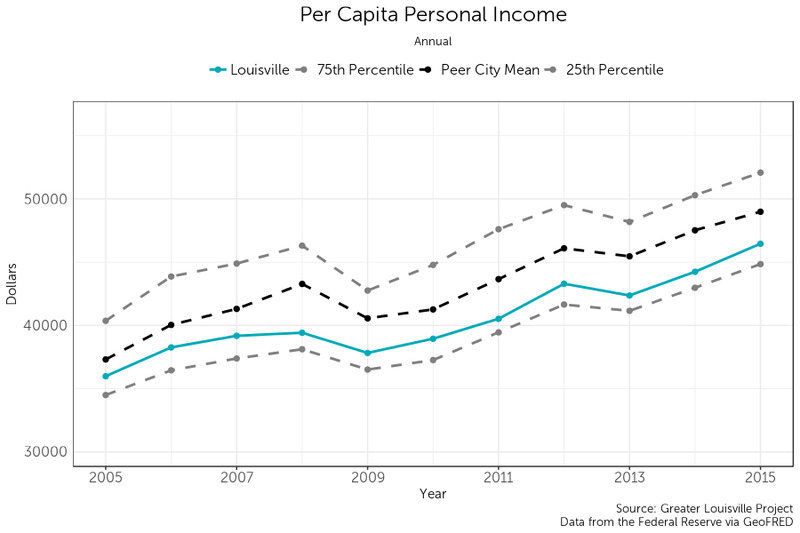 As a result, Louisville’s per capita personal income has remained below its peer city average despite its steady improvement.